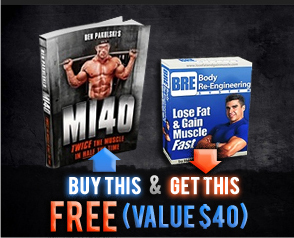 This morning I called up my friend and natural bodybuilder Nick Nilsson to discuss extreme and rarely talked about muscle building tactics that will dramatically accelerate your muscle building gains. Trust me, you will not read about these tactics in the magazines! Scroll down to hear the podcast and discover these rare and extreme training tactics. Also, do not forget to take a look at my review on Nick’s Muscle Explosion 28-Day Extreme Bodybuilding System which is designed to greatly accelerate muscle tissue growth and take ANYONE out of the toughest plateaus. And by the way, this week, only until Friday, Nick will be doing a special ONLY FOR MY NEWSLETTER SUBSCRIBERS AND WEBSITE VISITORS where you can get his Extreme 28-day Muscle Explosion program, which typically retails for $69.95 (an already discounted rate), for ONLY $29.95! ==> Get The Extreme Growth 28-Day Muscle Explosion Here at 75% OFF ($29.95) <==Gain up to 10-lbs in 28 days! In addition, I got Nick to include his four “Classified Muscle Building” books, covering Arms, Chest, Abs and some of the most insane Intensity Techniques you’ve never seen before. 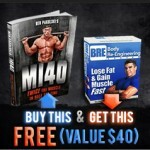 This is 143 pages of KILLER training information that contains 20+ years of his best tips, tricks and training techniques for maximizing your results on every single exercise you do, from barbell curls to bench press to pushdowns, crunches and a whole lot more. This bonus will be GONE along with the sale price on Friday, July 13th at midnight. OFFER EXPIRES FRIDAY AT MIDNIGHT! Natural Bodybuilding FAQ: Should You Train With Muscle Soreness? I purchased the Program yesterday. And have seen nothing yet. When Will I be receiving the program? I sent Nick a message and havnt heard anything. I will inform Nick about this. Sorry about the glitch. In the meantime, I will send you most of the materials over email. • Be proud of your new RIPPED body!